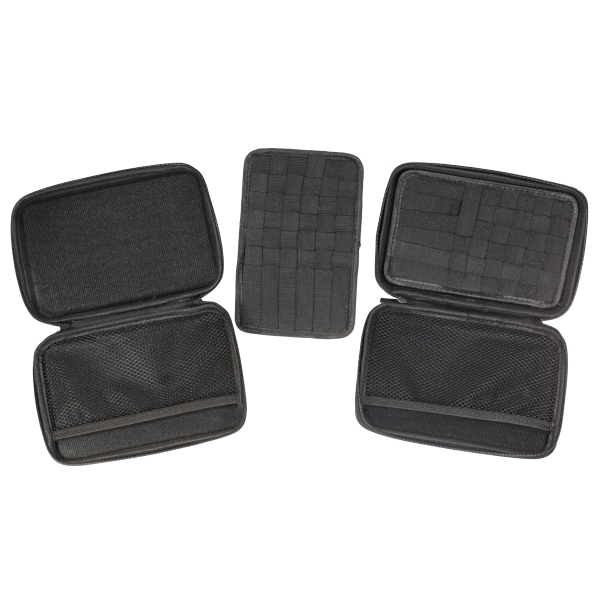 VERSATILE – the unique interweaving design of this carrying case’s straps gives you the ultimate flexibility to carry items in any configuration you wish. The strap side is also removable to add extra room to the case if you plan to use it for larger items. COMPACT – at only 8 x 6 x 3 inches, this case doesn’t take up a ton of space bit offers plenty of storage capacity. 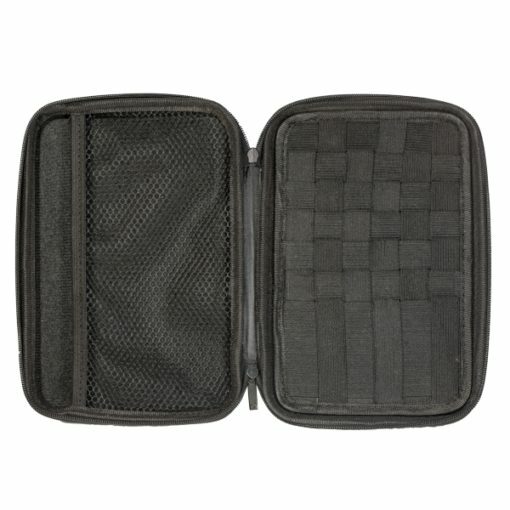 PORTABLE – thanks to its modest dimensions, this case can be easily stashed in a backpack or purse. HYDROPHOBIC – the exterior of the case is water-repellent, making it perfect for outdoor excursions. 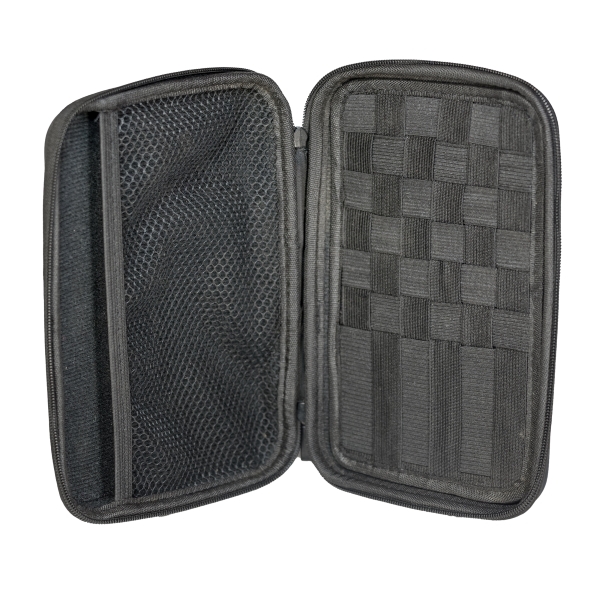 Take all your accessories on the go – Order this carrying case today! We stand behind our product and if for any reason you are ever not satisfied with your carrying case, simply return it for a full no questions asked refund. 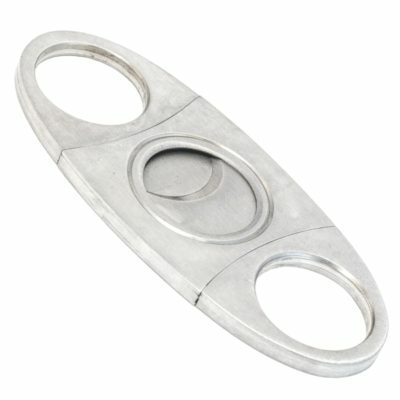 Now click add to cart and look forward to enjoying your versatile case! 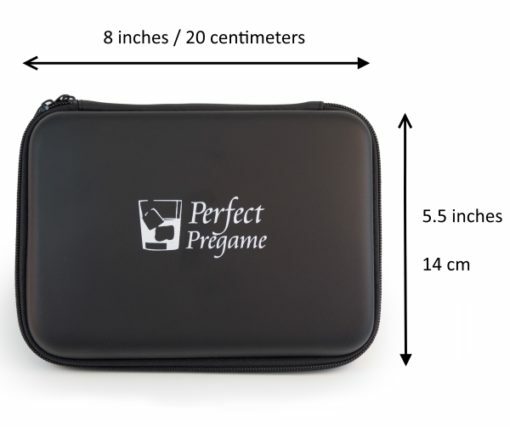 You can also save even more money by shopping Perfect Pregame on Amazon. Like this carrying case? Check out our drinking games kit and smoker’s kit too!